For my latest addition to mydoodle and Fine Art America I have tried to work on a black and white image - maybe greyscale is more accurate. 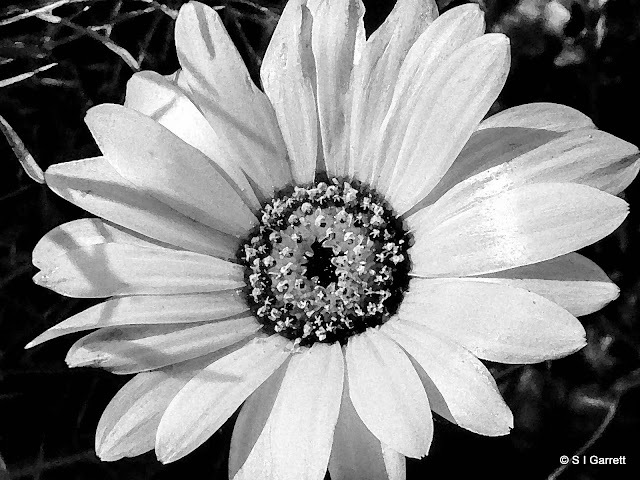 I started with this photograph taken of an osteospernum flower that I grew from seed and planted in my garden. 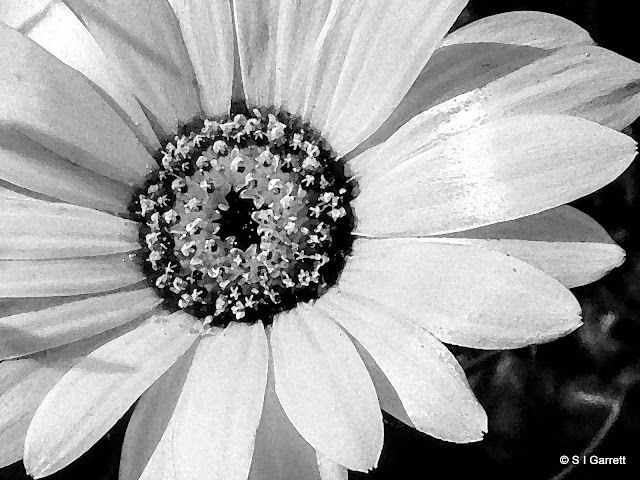 I love the detail in the centre of the flower and also the shine on the petals, After a bit of playing I ended up with this black and white image.